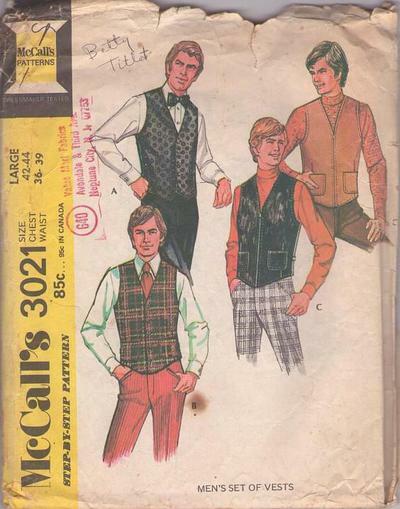 1971, 70s Menswear, Retro Accessory Clothing Patterns - Men's Set of Vests: Lined vest has buckled belt, side vents. A with welted pocket, B with lined patch pockets are buttoned. C has separating zipper, lined patch pockets, stitch trim. View C suitable for suede, faux fur, and leather!